One of the best things about our amazing experiences is – you guessed it – experiencing them! 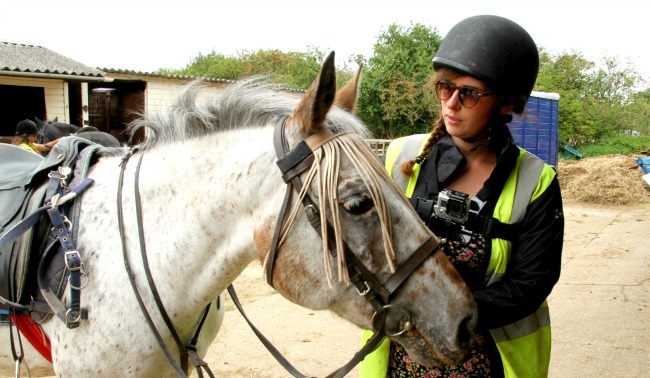 A few weeks ago we sent our colleague Rachael to try horse riding for the very first time. Read on to see how she fared. 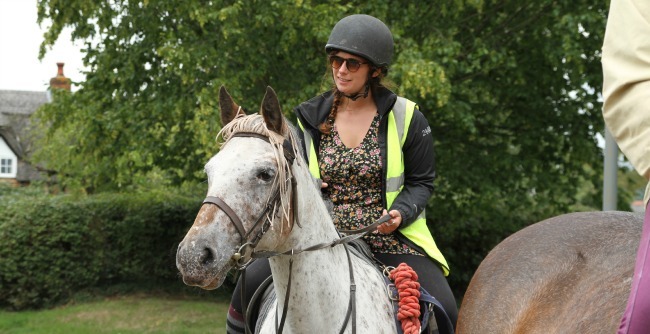 “Being a total beginner who has never even been near a horse, I jumped at the chance to try it for the first time and the Sunshine Riding School in Luton was the perfect location to do it. When I arrived, we were shown around the stables and introduced to some of the horses – they were all gorgeous, and pretty massive! 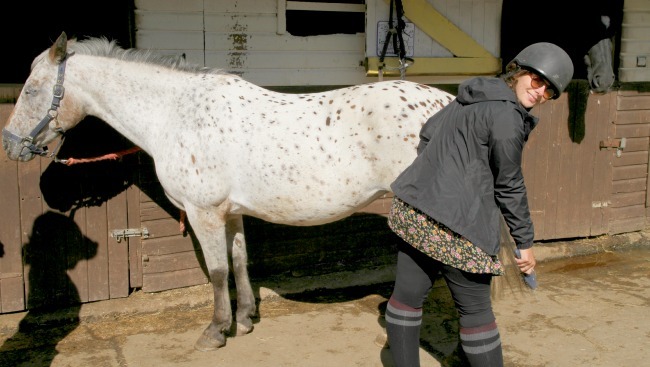 After getting bearings, I was put with the horse I would be riding to get to know her. Her name was Spot and the instructor said the better you get to know your horse, the more pleasant the ride would be. So while I groomed Spot and brushed her tail, I chatted away to her! She didn’t answer back much, but I feel like we definitely bonded. 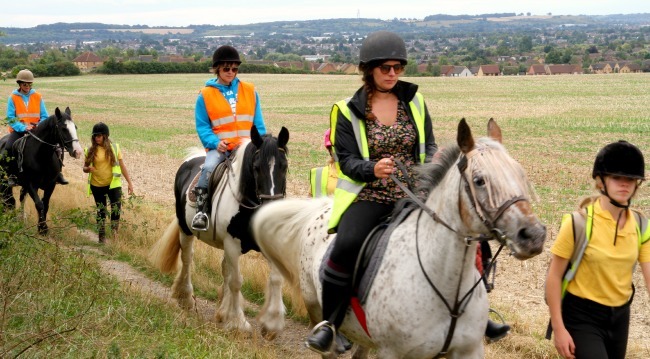 Next it was time for the lesson – we mounted our horses and learnt how to walk, trot and how to steer the horse left and right, as well as the all-important halt. We set out on the hack which was a gorgeous walk to the pub for lunch. The weather was sunny and beautiful and the countryside scenes were awesome. One thing they didn’t teach us in the lesson was how to stop your four legged friend from eating every bush as you pass! As I was a total beginner I had a handler accompanying me at all times. Danny was really friendly and made me feel totally safe as we walked. 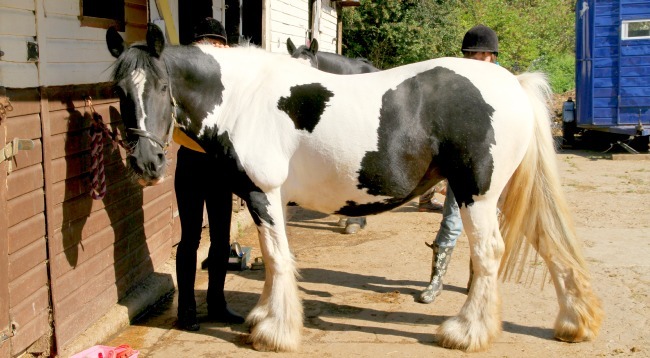 For anyone that’s interested in having their first horse-riding lesson or wants to get back on the horse after a long time away from the saddle, then this is the perfect experience for you!